The best in the west: Holiday ideas! If you're staying with us at fforest, you will no doubt have a busy itinerary already planned: snoozing in front of the woodburner, sweating it out in the sauna, drinking Welsh beers in the Bwthyn, eating delicious food in the lodge or venturing out to the Pizzatipi, exploring the surrounding fields & woodlands or staring blissfully into middle distance. Exhausting. 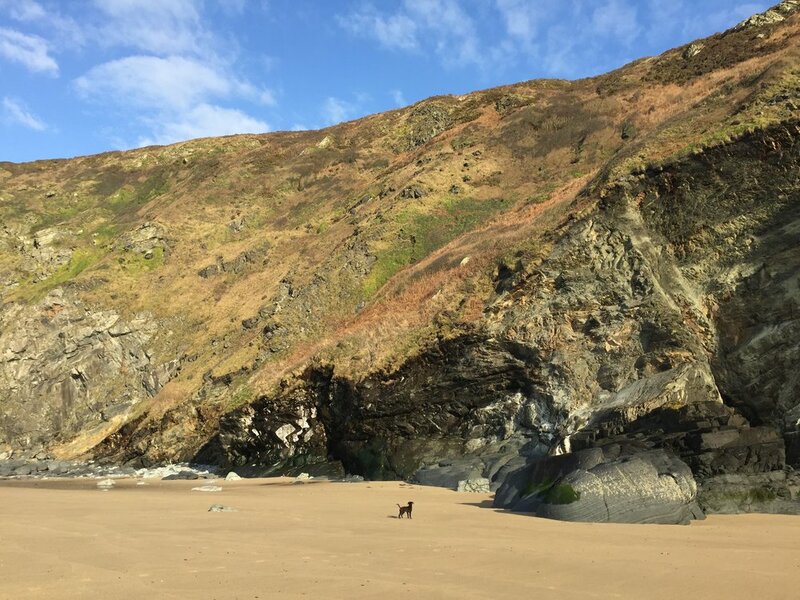 Meanwhile, for the super energetic, all around us are some fantastic walks, beaches and places to visit whilst you’re staying with us at either fforest, Manorafon or the Granary Lofts. So we've put together some easy guides featuring some of our favourite local spots to help you with your adventure planning. Explore Llanerchaeron mansion and the Aeron valley, pop into picturesque Aberaeron for lunch at the Harbourmaster (sit in the bar and have, crispy cockles and the crab linguine!!) then grab a honeycomb Icecream from the Hive before and stretch the legs along around the quayside deciding which boat you’ll have when you win the lottery…! Jump in the car and stop atthe Lime crab in Newquay for chips if you can fit them in?! Enjoy the beach or walk along the cliff path over to Tresaith (for a pint in the Ship) and back. The Boy Ashore is our beach shack cafe and restaurant serving delicious simple takeaways in the day and really tasty seasonal plates in the evening. Walk from Penbryn over the spectacular cliff path (expect a few hills) to Llangrannog for a pint in the Pentre and our favourite chip shop The Beach Hut. Growing as a new favourite spot of ours. Take a walk on either side of the iron bridge, either along the Parog or along the north side of the estuary and to the beach. Swing back past Pwnc for tasty lunch and great coffee or a great pub lunch at the Golden Lion? 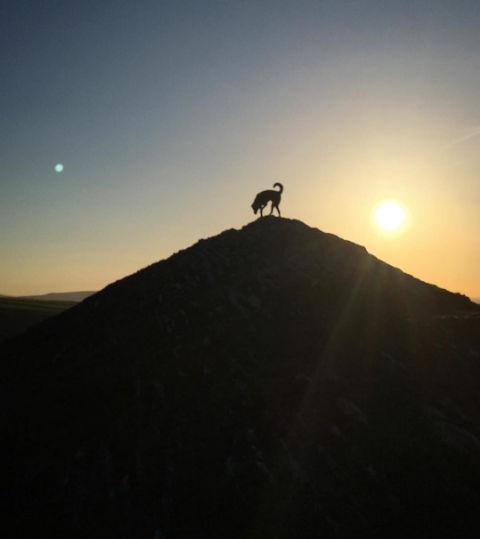 The Preseli Hills are just behind Newport and we recommend a walk or drive up either Carningli the mountain road (park at the top) or over the Bedd Morris road. Close to home and a great local day out. Walk into Cardigan trhough the wild life reserve for some brunch/lunch, the Pizzatipi is great any time of day for all ages, bakery Bara Menyn is our favourite spot for brunch but Crwst and Stwidio 3 are just as great. Take a boast ride with Dai up the estuary and learn about the history of the town on a vintage fishing boat. Walk on either Mwnt and see more miles or stretch the legs on Poppit? Finish the day watching the sun go down with Pizza and some great drinks at the Tipi. Traeth Bach (Little Beach) is also known as Secret Beach, Llangrannog 2 & Morfa, depending on which local you're talking to! This idyllic spot is one of the most beautiful secluded beaches we know. Its not the easiest to find... walkers tend to stumble across it along the Ceredigion cliff path in between Penbryn and Llangrannog, but we've been visiting this beach for many years. Start Penbryn beach car park, head towards the beach, then find the sign for the footpath, its immediately on the right past the farmyard. Start your ascent up the hill, keep walking until you reach an open field, there's a small gap in the hedge which is your gateway to beach heaven! 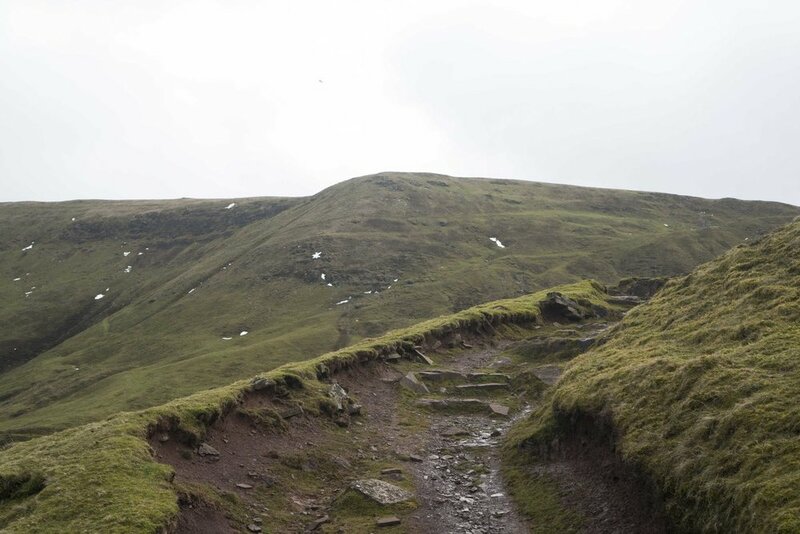 The final descent down to the beach is a scramble to find footholes, its exciting but be careful! Once on the golden sands, spend a few peaceful hours with the beach all to yourself. Rejoin the cliff path and follow on to Llangrannog or return to Penbryn the way you came. Notes The towering cliff edges engulf the little cove as if sheltering it from the wind, making this beach a perfect spot for swimming, catching some rays & enjoying a picnic. The tidal island of Carreg-y-ty is on the north side and has a sea cave running right through it. Keep clear of the cave between August & October as seals may be using it to breed. 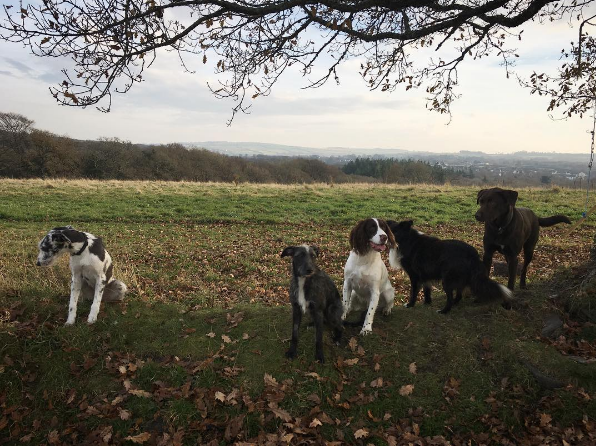 The fforest dogs: Arrow, Bru, Mossy, Shrimp, Monty & Nan have explored much of the Welsh coastline already and are probably the most reliable tour guides of the West coast. But in case they missed something, they suggest reading 'The Woof Guide' of Pembrokeshire for the best dog friendly walks in the local area. Most of these beaches, coastal paths and countryside walks are a stones throw from fforest and are well worth a visit. Opened in 1970, the Pembrokeshire Coast Path was the first National Trail in Wales and is one of 15 National Trails in Britain. It stretches for approximately 186 miles from St Dogmeals to Amroth, passes 58 beaches along the way and many a charming town & village, including Tenby, St Davids, Solva and Newport. 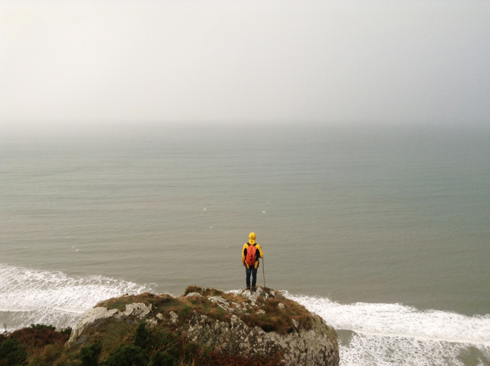 If you were to do it all in one go, the whole of the Pembrokeshire coastline would take 10 to 15 days to walk! So most people tend to choose to do a small section of it to begin with. 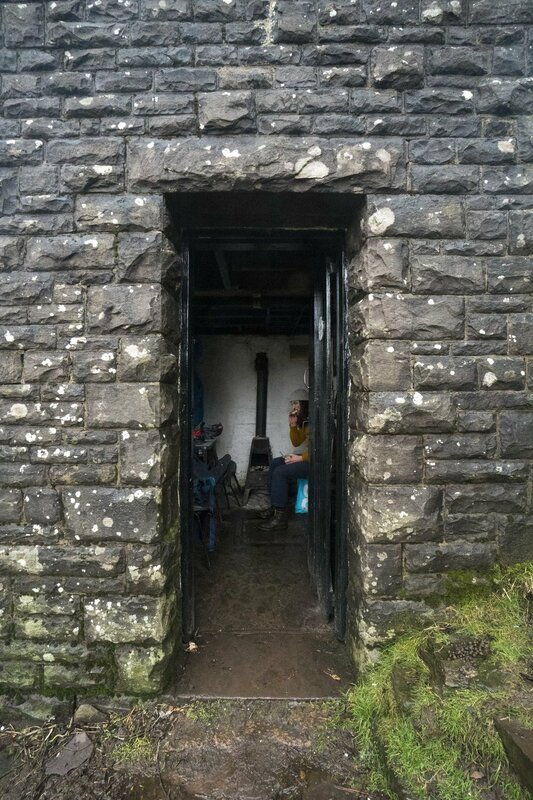 From Whitesands, go through a gap in the wall on passing the site of St Patrick's Chapel. Climb a sandy slope up on to the cliff path. After about ½ mile (0.8km) you reach a kissing gate and National Trust sign. Continue to the crest of the hill. From here, see Coetan Arthur silhouetted against the sky. St David's Head is forged of very old volcanic rock, some of it dates back almost 500 million years. This geology is best represented by Carn Llidi, the towering jagged outcrop, or tor, and in the rocky islands of Ramsey, Bishops and Clerks several miles out to sea. Our main route sticks to the coast, descending into the valley ahead via broad steps to a spring above the tiny cove of Porth Melgan. An alternative route heads gently uphill round the back of Carn Llidi with fine views to the east, or adventurous souls can scramble to the summit of this peak. 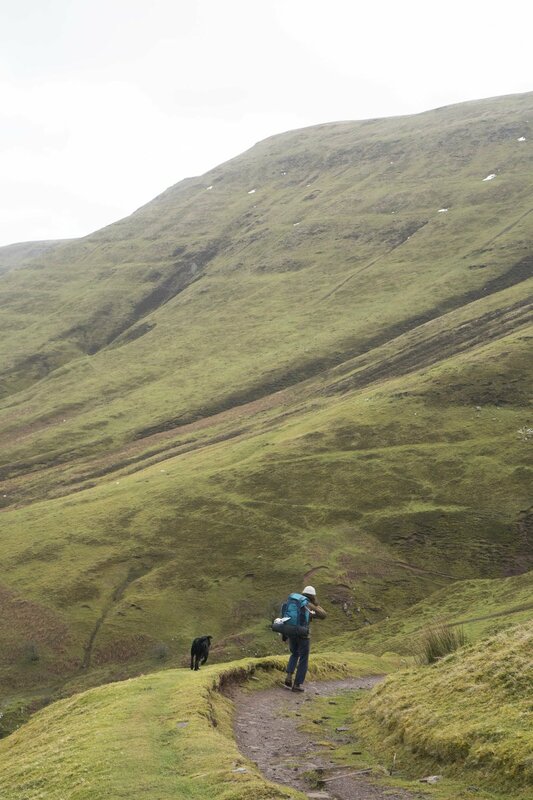 Cross the stream by a bridge and turn right or north-east to walk up this valley. This area can be slippery and muddy in winter. To your right is a marshy area with the typical 'dinosaur egg' shapes of purple moor grass or 'rhos pasture', green in summer and earthy coloured in winter. Higher up, on the flanks of Carn Llidi, you can see ancient field patterns. Look out for birds like stonechat, meadow pipit and skylark in clumps of reedbed and willow. The rare Dartford warbler has also been seen in recent years. At the highest point here, the peak of Pen Beri and the expanse of Cardigan Bay appears in the distance. Two headlands away is the winking lighthouse of Strumble Head with the peak of Garn Fawr above it. Descend to rejoin the coast path and turn left towards St David's Head. On the plateau a remarkable rockscape opens up. Jagged erratic rocks are mirrored by the rugged profile of Ramsey Island out to sea. North of Ramsey are the 'Bishops and Clerks', little islets, one of which is home to a big lighthouse. Offshore, you might be lucky enough to spot porpoise or dolphin playing in the waves. The route eventually passes Coetan Arthur and descends to an Iron Age coastal fort at the end of the peninsula. Continue on the coast path, returning to Porth Melgan. Retrace your route from here back to Whitesands beach. Ok, so they're not exactly secret, but they are places that perhaps few people know about, especially those who are visiting from faraway lands. As locals, we fforest elves love to explore the lengths of our coastline, vast countryside & woodlands, and if we happen to stumble across something quite special, the tendency is to keep it a bit of a secret! But some places are just too good not to share and with word spreading fast about a few of our top secret spots, we thought we'd tell you about some and, most importantly, how to reach them. 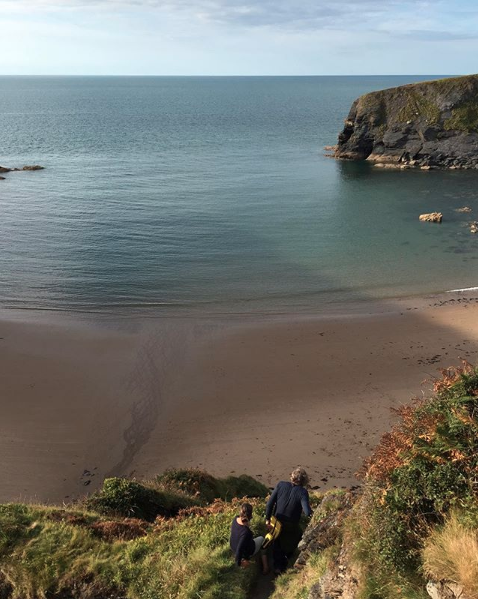 A short walk from Manorafon/ Penbryn, this spectacular coastal walk will bring you to Llangrannog eventually, but stop off half way and you will arrive at one of the most beautiful secluded beaches we know, 'Traeth Bach' (Little Beach), known to the locals as the secret beach. Its a difficult scamble down, but well worth it. Walk time 45 mins Drive from fforest 25 mins /Manorafon 2mins Start Penbryn car park, head towards beach, then footpath past farmyard immediately on the right up to the hills. Notes take a picnic and spend the day in the most beautiful and relaxing surroundings, and have it all to yourself! A high level coastal path walk with sheer drops and fascinating rock formations, you will arrive at the witches cauldron at the end of the walk- you can't miss it. A towering, collapsed cavern in which you can swim or canoe (both easily). Its a beautiful little sun trap on a good day; your own salty swimming pool complete with rock diving board. Take care with young children. Its only a very short walk to reach this spot. From the outside, you would never expect to find such a gem hidden at the centre of Rosebush quarry. Surrounded by rock and slate, the small freshwater lake is a calming and tranquil place. The translucent emerald green water is perfect for a swim but be warned, its pretty cold! Nestled deep in the Ffynnone woods is a beautiful clearing and impressive waterfall. Located in a secluded valley, ranging from fairly flat valley bottom to steep valley sides, the woods have four rivers and remnants of an ancient woodland - including veteran oaks - mainly located around the river system. Also known as Pirate Cove / Rum Island, this beach is so secret that we don't even know how to give proper directions. Somewhere along the coastal path between Aberporth and Mwnt lies a tiny beach, home to many a seal and her pup. You have to choose the one and only way down to the beach off the path, very difficult to find, only a handful of walkers have dared to venture down the ridiculously steep cliff edge. If you do find the secret pathway, follow the zigzag all the way down where you will find yourself between two cliffs. A small waterfall trickles down from above, forming a river at the bottom that flows off the rocks, onto the beach and into the sea. Follow this river and you will find the beach. So if you see this seal, your best bet of finding the bay is to ask him for directions! 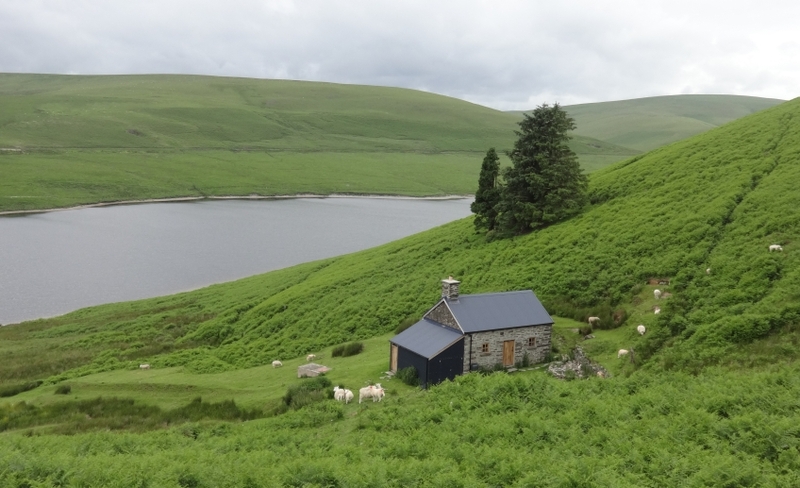 If you're staying with us at fforest, you will no doubt have a busy itinerary already planned: Snoozing in front of the woodburner, sweating it out in the sauna, drinking welsh beers in the Bwthyn, eating delicious food in the lodge or venturing out to the Pizzatipi, exploring the surrounding fields & woodlands or staring blissfully into middle distance. Exhausting. 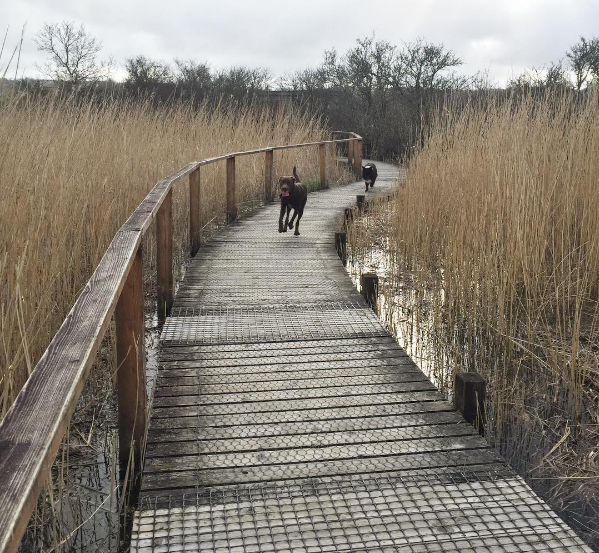 Meanwhile, for the super energetic, all around us are some fantastic walks, beaches, places to visit and activities to try whilst you’re staying with us at either fforest, Manorafon or the Granary Lofts. So we've put together some easy guides featuring some of our favourite local spots to help you with your adventure planning. Scroll down to see our chosen top 5 beaches on the Ceredigion coastline. Penbryn beach is one of Ceredigion's most popular beaches and is virtually on Manorafon's doorstep. Owned by the National Trust, Penbryn lies between Tresaith and Llangrannog, two other popular coves linked by the Wales Coast Path, and a network of quiet wooded lanes. Walk time 30mins through the woods Drive from fforest 20mins /Manorafon 2mins Start at the national trust car park. 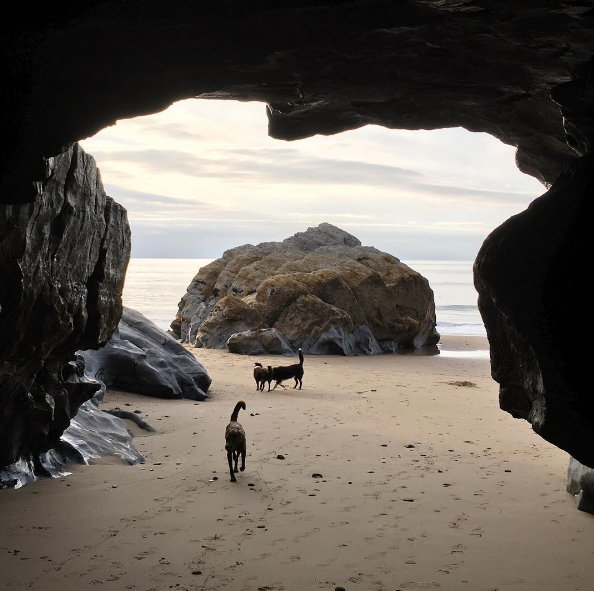 From there head towards the woodland footpath and arrive at the beach at the end Notes On very low tide, explore the right hand side of the beach - beautiful rock formations, pools & cliff edges and a fabulous spot to watch the sun setting over the sea. 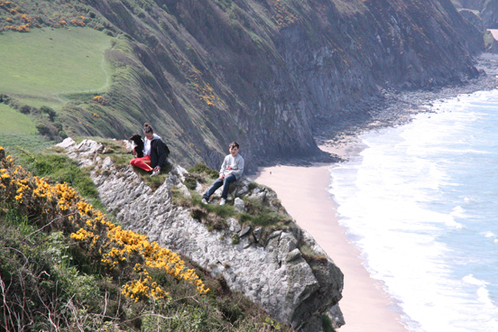 Visiting Mwnt's tiny secluded beach and climbing Mwnt is a highlight for many of our guests. 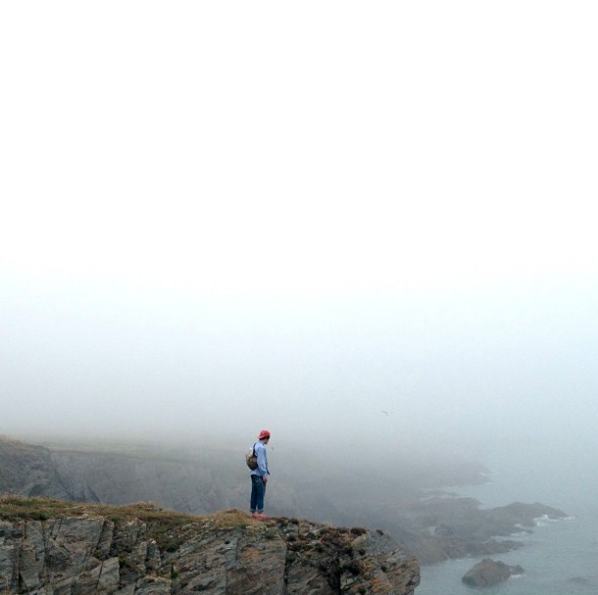 Take a walk on the beach or climb Mwnt mountain, there are spectacular views all around. Llangrannog is probably the most picturesque seaside town of Ceredigion and the small beach there is just as beautiful. On low tide walk over to the right and discover Llangrannog part two, but be careful not to get cut off over there on high tide! Drive from fforest 25mins/Manorafon 5mins Notes 'Carreg Bica' is the defining feature of Llangrannog beach. Its big, bold & wave-shaped, and is probably the most photographed rock of west Wales. A quieter beach just outside of Cardigan, its a perfect place to relax and have a picnic lunch with family & friends. If you're feeling adventurous, walk the cliff path to the witches cauldron, one of our favourite secret spots. Drive from fforest 15mins /Manorafon 20mins Start in the village of Moylegrove, follow footpath signs for Ceibwr beach and from there head west on the coast path to eventually reach the witches cauldron. Notes favourite spot for seals. Aberporth beach will always hold a special place at the heart of fforest; it being the home of fforest chief and Sian. With two separate beaches, the right hand side is our favourite. Its also the backdrop to fforest chief's office shed. Drive from fforest 15mins/Manorafon 5mins Notes The sunsets over the estuary are pretty spectacular. Guided boat trips to bring you closer to the wildlife of Cardigan Bay: Dolphin, seal and sea bird watching tours. A Bay to Remember use modern purpose built vessels with the latest environmentally friendly engines and safety equipment that offer a safe and exhilarating experience suitable for all ages. Their booking office is located just outside the entrance to the Pizzatipi, some boat trips depart from this riverside location too. One and a half hour guided Dolphin Watching Boat Trip, leaving from the picturesque fishing village of New Quay, Ceredigion. Learn about the local history, geology and wildlife from our marine biologist guides and knowledgeable skippers. No trip is the same but you typically see bottlenose dolphins, a variety of seabirds, grey seals, bottlenose dolphins and harbour porpoises. Occasional visitors here are sunfish, basking sharks, minke whales and even humpback whales! 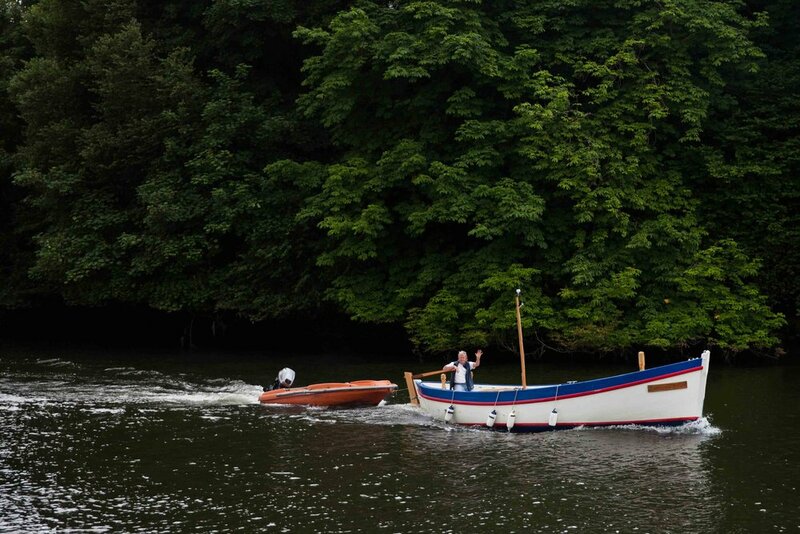 The history of the river Teifi dates back to the 11th century, on this boat trip with the aid of photographs and local knowledge, Captain Dai will give you an insight into how the river developed into a major fishing and ship building industry. Embark from the jetty in patch Gwbert, at the the mouth of the estuary and travel up-stream to the centre of Cardigan. Stop at various points of interest to cover the development of the river and discuss how the people once earned their living on this beautiful stretch of water. The tour will take between 3-4 hours dependant on tide and weather conditions. For over 40 years Pembrokeshire Island Boat trips have been providing boat trips to Pembrokeshire’s offshore islands, and in this time have realised that one person’s idea of the perfect trip can vary greatly from another’s. They aim to offer a wide range of services catering for all ages and interests, from 15 minute crossings to 3 hour offshore voyages. A 15 minute boat ride takes you to enjoy one of the most incredible wildlife experiences in Britain, Skomer Island, where hundreds of puffins choose to nest each year. The River Teifi has some of the most breathtaking otherwise unreachable stretches in Wales, Heritage Canoes has the only commercial contract to take you there. Winding towards the sea, the deep, tidal Teifi Gorge is a unique environment where fresh and salt waters meet and the species it is home to forms one of the most varied aquatic landscapes in the country. The gorge offers safe, gentle river paddling in open canoes for people of all ages and abilities. With the river flowing lazily past ancient woodland and wildlife habitats, a canoe trip should be high on your list of must-do’s on your holiday. Experience the wonders & wildlife along the river Teifi. These trips start from the quayside just around the corner from Pizzatipi and are just £5 per person payable on board. The trips are along the Teifi River to its mouth and return, lasting about 50 minutes. Trips run from Easter to September, times are dependent on tides and the weather. Pop in for a pizza & beer with us on your return!